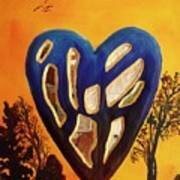 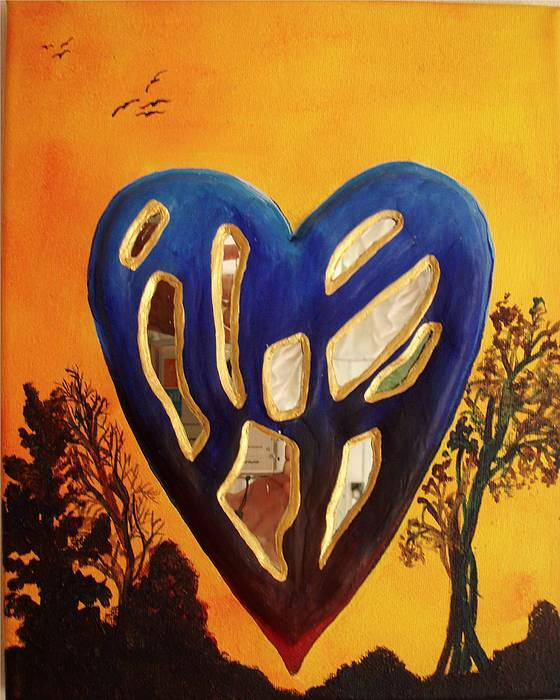 Acrylic and mixed media on canvas 3dimensional HEART IN GLORY is one of the pieces from the Best Reflections group. These paintings are inspired by the ancient art of TaiChi. 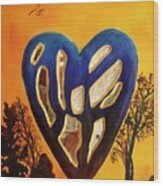 The fragmented mirror symbolically reflects our best energies back to us in a diffused manner, in so enriching us. 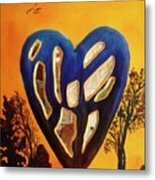 HEART IN GLORY portrays the heart having passed through the cleansing and softening processes to have now attained a new liberation represented as a huge 'sun' energy.